Almost every culture and cuisine has a form of savory hand pie. 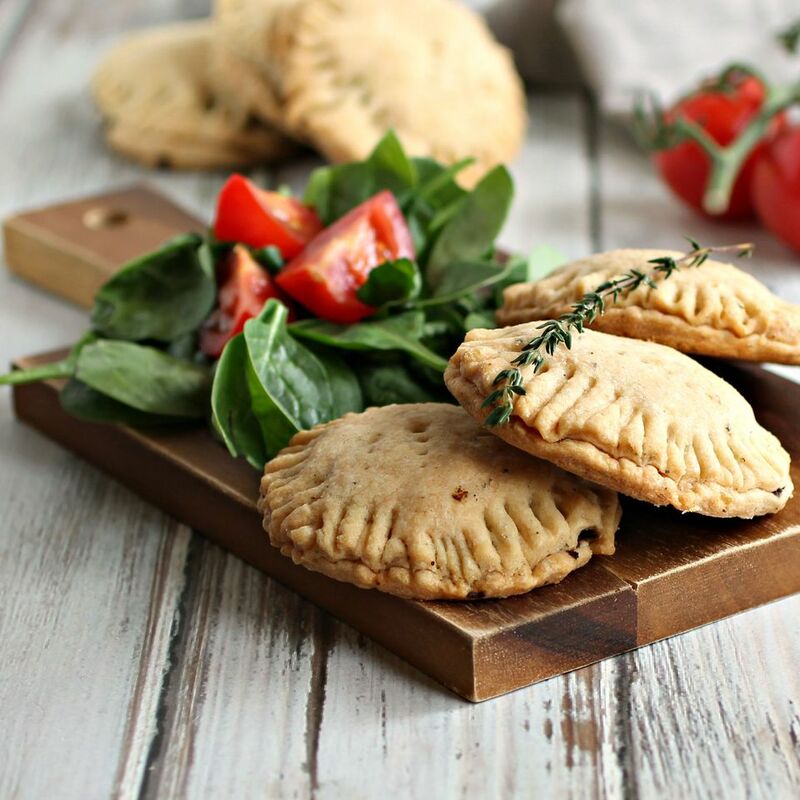 They make great vehicles for on-the-go food, picnics, work and school lunch and also a great way to turn leftovers into a meal such as these Leftover Pot Roast Hand Pies, Mini Pork Pies or Leftover Turkey Empanadas. The basic pastry dough can be made plain or you an have a more savory version with herbs or cheese, filled and either fried or baked. The basic browned ground beef mixture in these savory pies gets a Middle Eastern flair from spices such as cumin and herbs like fresh thyme and parsley. These can also be made ahead and refrigerated or frozen. Just bake them off and enjoy. Make the pastry by adding the flour, butter, baking powder, salt and thyme to a food processor. Pulse a few times until the mixture resembles course crumbs. With the machine running, slowly pour the ice water through the feed tube and continue running just until a dough ball forms. Wrap in plastic and refrigerate for at least 1 hour. While the pastry is chilling, add the beef to a large saute pan along with the onions, garlic, cumin, garlic powder, thyme, oregano, cayenne, black pepper and salt. Cook until the beef is browned then stir in the beef stock and red wine. Continue cooking for another 5 minutes then stir in the parsley, remove from the heat and let cool. Roll out the pastry to about a 10" piece and cut out 8 large (approx. 4") circles. Fill 4 of the circles with equal amounts of the cooled beef mixture and top with the remaining 4 circles. Use a fork to crimp the edges and place on a baking sheet lined with parchment paper. Bake for 40 - 45 minutes or until the pastry is a light golden brown. Both the pastry and beef recipes can be doubled.